Live Event or Club enquiries or queries. Best option is to email but feel free to call or use facebook messenger also. 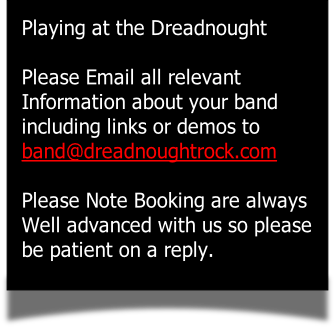 For any band booking enquiry please submit your bands details via email.